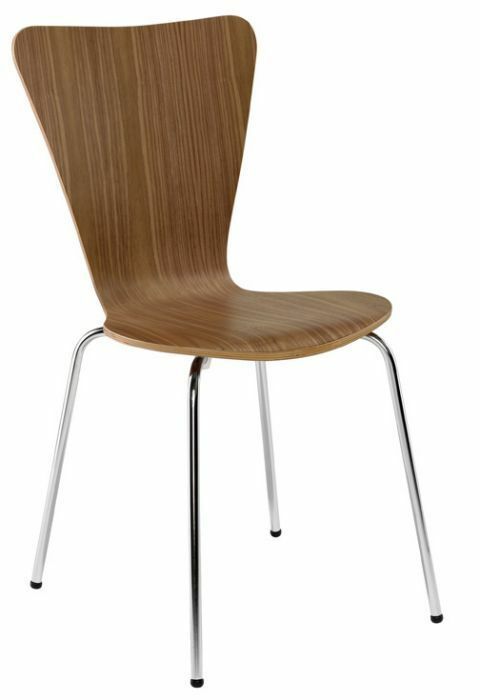 Cafe chair based on the Classic Keeler chair with a plywood shell in a walnut colour. Four-leg frame in a Chrome finish. Tested up to a maximum weight of 100kg and comes with a two-year warranty. Classic design cafe chair in a rich Walnut finish, with sturdy chrome legs, please contact our sales team for further information on bulk orders.